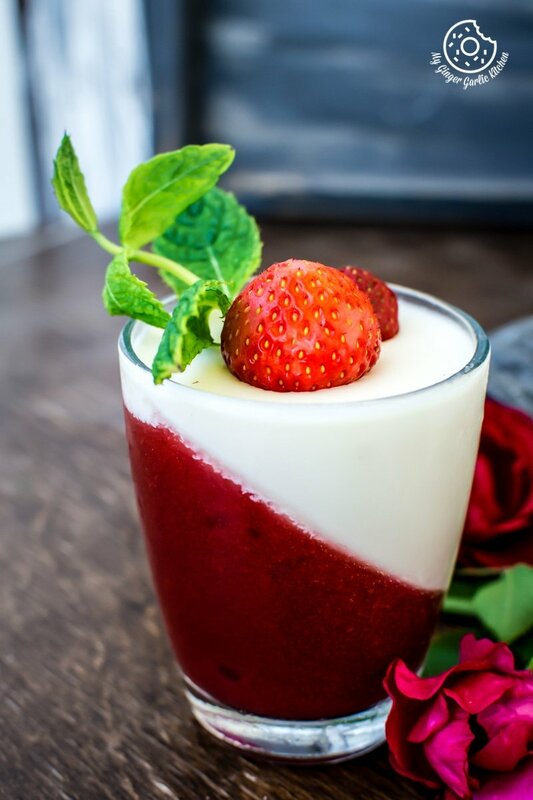 Learn How To Make Strawberry Panna Cotta | Strawberry Panna Cotta Recipe video instructions. 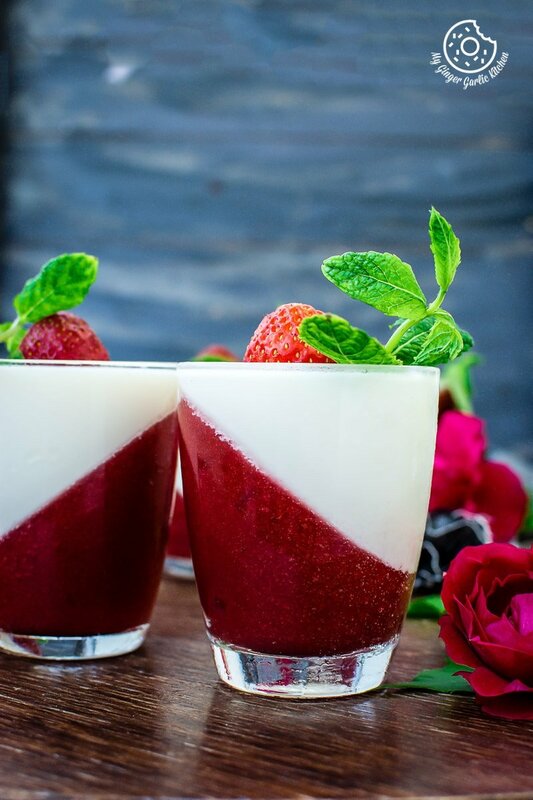 Strawberry Panna Cotta is one of such modern desserts which is so light and refreshing enough to make for a weekend treat. The individual servings of this dessert look so presentable, sophisticated, and perfect for any get-together. Does it need an introduction? I guess not. It’s because who doesn’t know about this cool and creamy textured Italian dessert? I haven’t met anyone yet. Have you? Everyone just loves it. This is always a knockout every time I make it. 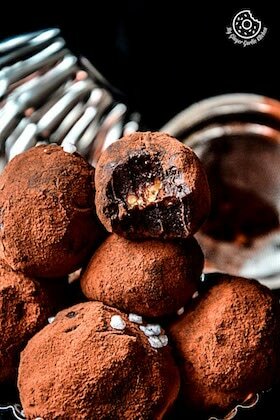 I must say this is one of my favorite no-bake desserts to make. I love making and eating this strawberry panna cotta, but I don’t know why I haven’t shared it on my blog yet. Furthermore, I didn’t even realize this until a friend of mine called me last month and asked for the Strawberry Panna Cotta recipe. I said, “Search on the blog, you’ll find it there”. She searched and said, “I couldn’t find it, can you please share the link with me”? I said, “Ok. Will send in 10 mins”. See, how confident I was when I told her that I have this recipe on the blog. However, when I searched the recipe, I couldn’t find it either. 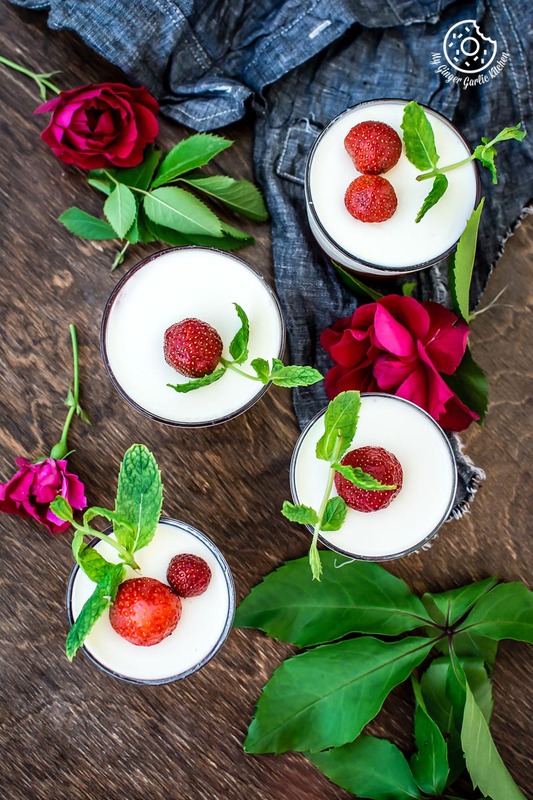 I said to myself, “How’s it possible that I have never shared strawberry panna cotta on my blog?” Realizing that I called back to my friend and promised that I will share the recipe soon. I’ve been wanting to share this panna cotta recipe ever since she asked me for the recipe. So I finally did it. Do you remember when I told you about our strawberry-picking this season here? I also promised you that many strawberry recipes will be appearing soon on my blog. That time the first recipe came to my mind was this Strawberry Panna Cotta. 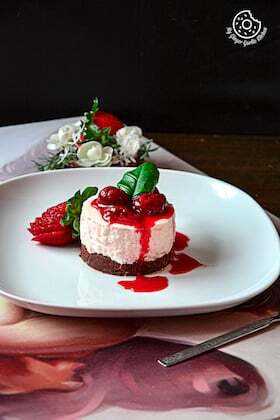 Thanks to my dear friend who requested me to share this strawberry panna cotta. Here is my one of the best, most-liked strawberry recipes for all of you who like all-things strawberries. 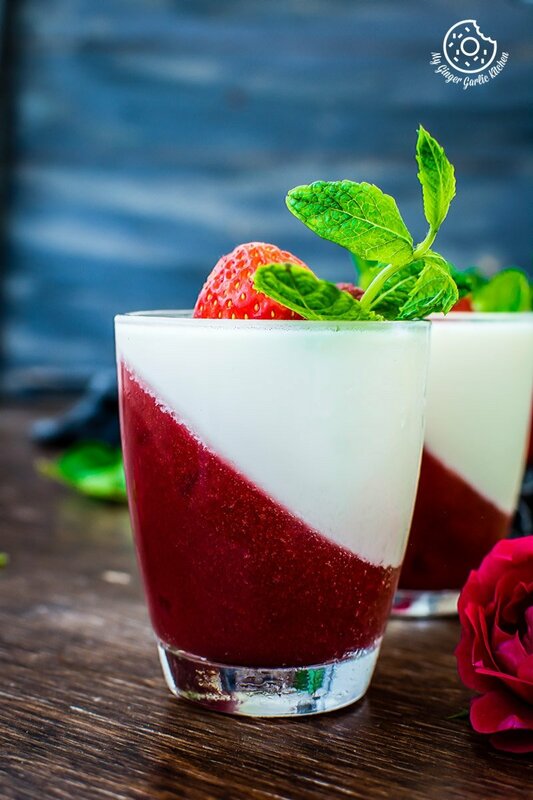 Strawberry Panna Cotta is one of such modern desserts which is so light and refreshing enough to make for a weekend treat. The individual servings of this dessert look so presentable, elegant, and perfect for any get-together. 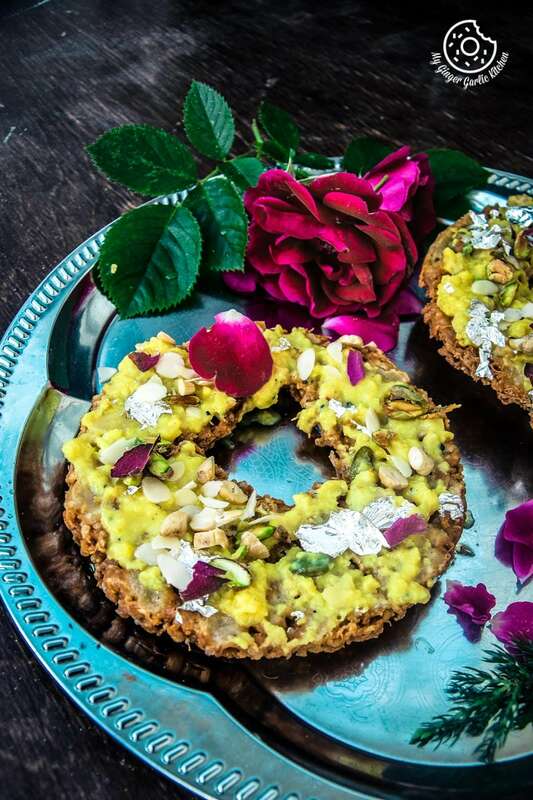 Make them a day ahead and serve this perfect summer dessert for your guests. You can simply make this delightful, smooth, and delicate dessert with just a few simple and handful of ingredients. 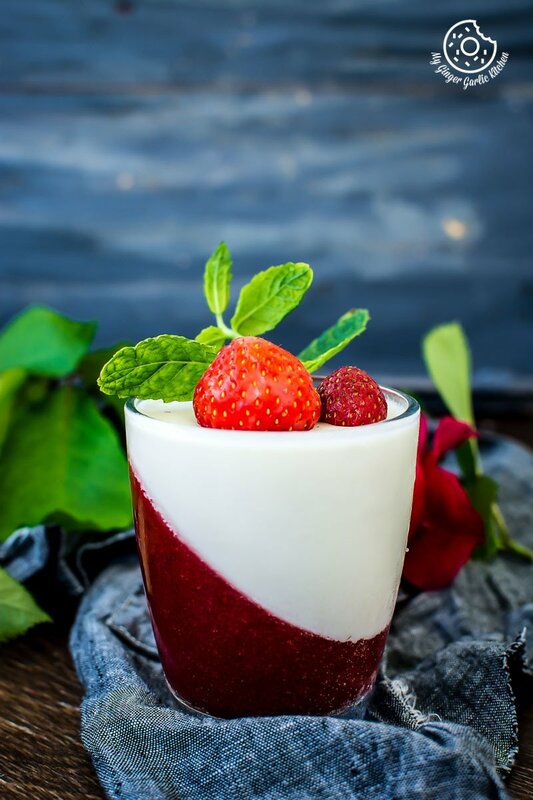 How to make Vegetarian Panna Cotta? 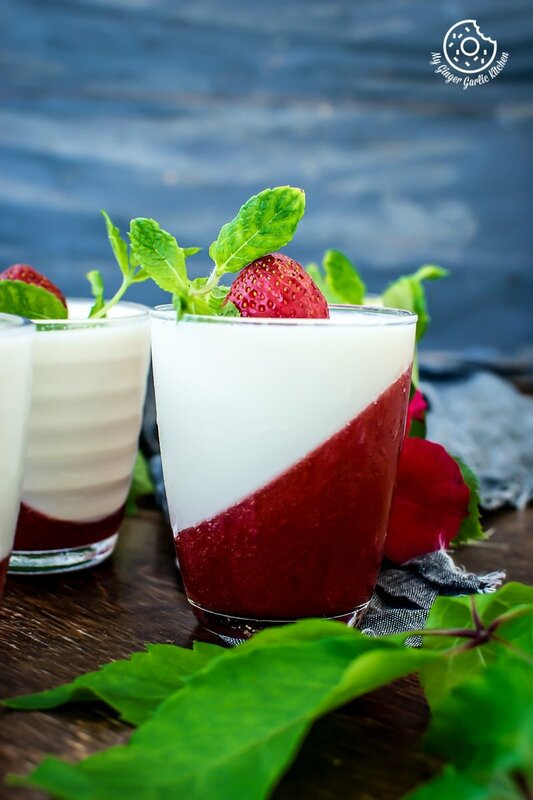 You can craft the basic panna cotta using simple ingredients such as strawberry, milk, cream, sugar, vanilla, and gelatin. I have used gelatin for this recipe, but if you are vegetarian then you can also make the same recipe using agar agar or vegan gel powder. My preferred flavors of panna cotta are strawberry panna cotta, coconut mango panna cotta, peach panna cotta, and blueberry panna cotta. I would love to know what are your favorites? 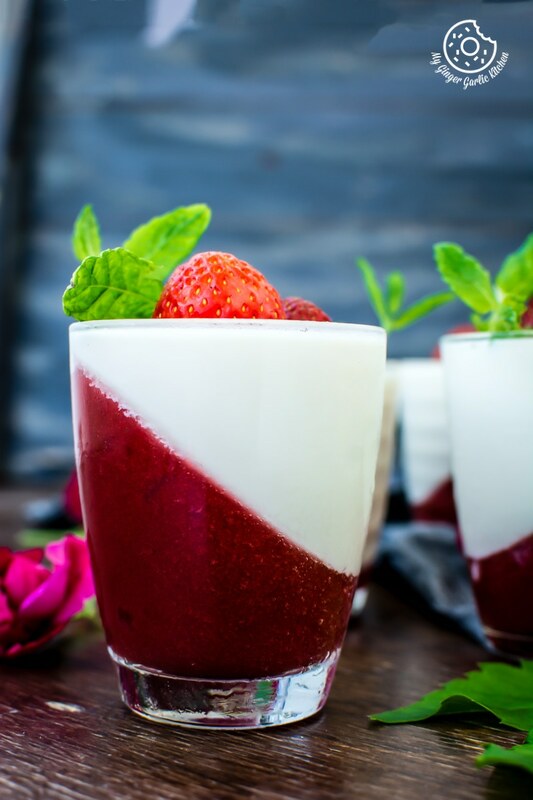 Strawberry Panna Cotta is one of such modern desserts which is so light and refreshing enough to make for a weekend treat. 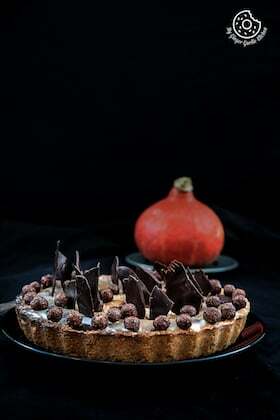 The individual servings of this dessert look so presentable, sophisticated, and perfect for any get-together. 1. For the strawberry layer, dissolve 2 tbsp unflavoured gelatin powder in 2 tbsp water and let it bloom for about 10 minutes. 2. Microwave gelatin mixture for 10 seconds and let it cool completely. 3. Meanwhile, pour the cream, milk, and sugar into a pan and heat it until hot and the sugar dissolved completely. Do not boil it. 4. Remove from the stove and add 1 tsp vanilla extract. Stir well to combine and let it cool completely. 5. Add the gelatin mixture and stir well to combine. 6. Arrange glasses or ramekins tilted at about 45° angles in a pan covered with a kitchen towel. (See the reference in the video). 7. Divide the strawberry sauce into 4 portions and pour them into glasses. Refrigerate for at least 4 hours or until it is set. 1. For the panna cotta, dissolve 2 tbsp unflavoured gelatin powder in 2 tbsp water and let it bloom for about 10 minutes. 2. Microwave gelatin mixture for 10 seconds and let it cool completely. Add the chopped strawberries, sugar and 3 tbsp water to a saucepan. 3. Cook over medium heat for 6-7 minutes or until strawberries are softened and released the juices. 4. Blend to make a smooth puree. 5. Strain the strawberry puree through a sieve and let it cool completely. 6. Add gelatin mixture and stir well to combine. 7. Divide the milk mixture into 4 portions and pour them into glasses. 8. Refrigerate for at least 4 hours or until it is fully set and ready to serve. 9. Garnish with strawberries and mint leaves and serve chilled. 1. You can also use agar agar or vegan gel powder instead of unflavoured gelatin powder.